Introduction: Gena Philibert-Ortega is a genealogist and author of the book “From the Family Kitchen.” In this guest blog post, Gena shows how historical newspapers provide excellent coverage of disasters such as earthquakes, including detailed casualty lists helpful to genealogists. Living in California as I do, earthquakes are a fact of life. Because of their suddenness and intensity, earthquakes can be a terrifying event to experience. When the shaking begins your mind starts racing, wondering when the earthquake will stop. Seconds feel like minutes. An automatic reaction to an earthquake is to run to safety. I remember during one trembler a few years ago yelling to my kids not to run down the stairs. Earthquakes can kill—so too can the panicked actions of those experiencing the earthquake. It goes without saying that our ancestors experienced devastating natural disasters as well. My great-grandmother used to talk of the 1933 Long Beach earthquake when all of her china was broken. That 6.4 (on the Richter scale) earthquake cost millions of dollars in damage and killed more than 100 people. My guess is it must have been a terrifying experience for a young married woman with an 8-year-old child, as my great-grandmother was at the time. She was lucky that her only loss was the china. When thinking of historic California earthquakes, many people think of the 1906 San Francisco earthquake. The destruction caused by that earthquake and the resulting fires has been the subject of books, documentaries, and vintage photos. But that earthquake wasn’t the only one that resulted in heavy destruction for a California city. Lone Pine, a little town in the Eastern Sierra region of California, experienced an earthquake in 1872 so strong that it almost leveled the entire town. It is easy to understand why the 1872 Lone Pine earthquake and the 1906 San Francisco earthquake (both believed to have measured over 7.0 on the Richter scale) caused so much damage in and around California. 19th century buildings in the West, mostly wood and brick structures, were not forgiving when the earth shook. According to the U.S. Geological Survey, that March 1872 earthquake destroyed 52 out of 59 homes and killed 27 people in the city of Lone Pine. The earthquake was felt as far south as San Diego and as far east as Elko, Nevada. Historical newspapers give us a sense of what the resulting chaos was like when Lone Pine residents were rudely awakened at 2:35 that March morning. The Inyo Independent newspaper quoted one resident as yelling to his wife during the earthquake: “Get up; hell’s broke loose!” The newspaper’s front page headline for March 30 screamed: “HORRORS!! Appalling Times! EARTHQUAKES. Awful Loss of Life! 24 People Killed! Earth Opens! Houses Prostrated! !” Some people were crushed by the debris of their collapsing houses as they lay in their bed. This earthquake and the inevitable aftershocks must have made it seem like the world was ending. 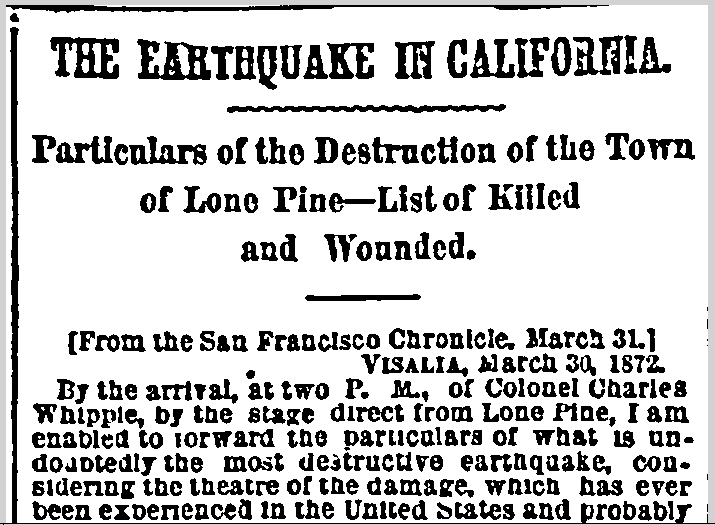 The 1872 Lone Pine earthquake was reported in newspapers across the country. These earthquake reports reveal the sense of shock felt at the time of the natural disasters and also provide genealogists with practical information like causality lists. 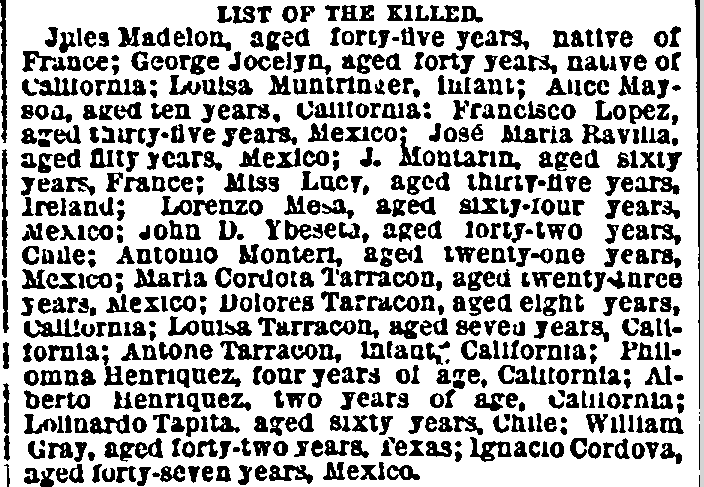 For example this historical San Francisco newspaper article, reprinted by a New York paper, provides lists of the dead and the injured. 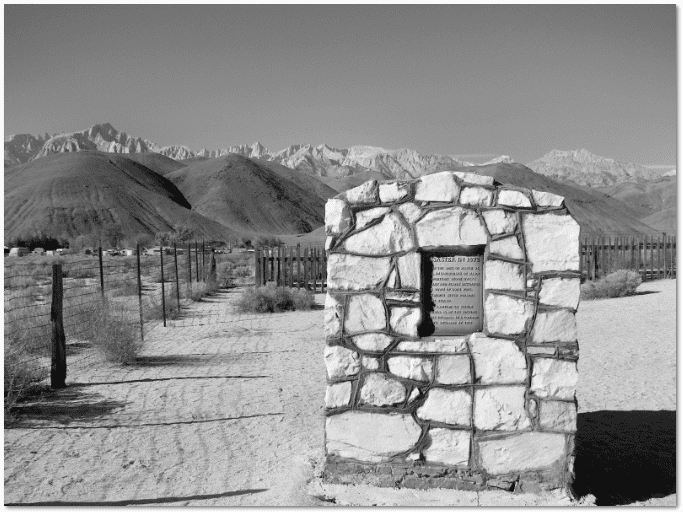 To read more about the history of the 1872 Lone Pine earthquake, consult the Historic Earthquakes page of the United States Geological Survey and visit GenealogyBank’s historical newspaper archives.